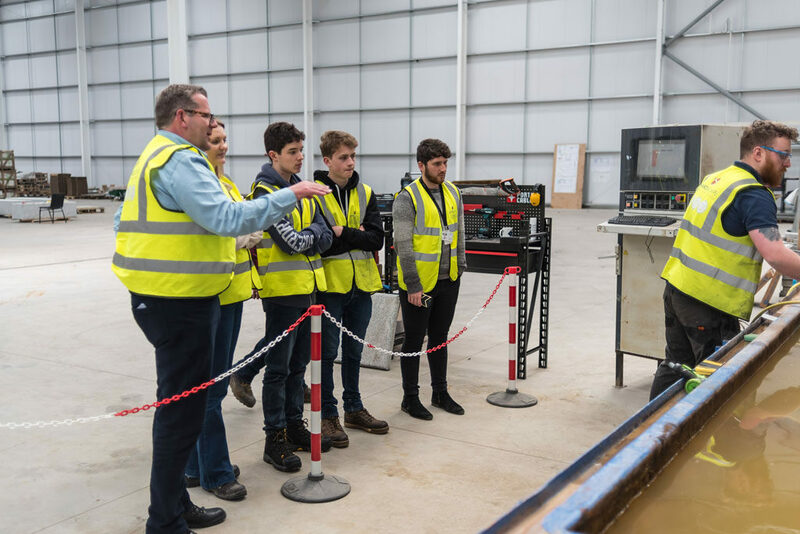 Two A-level students have experienced a day in the life of an engineer by taking part in a trip to review the progress of a manufacturing contract. 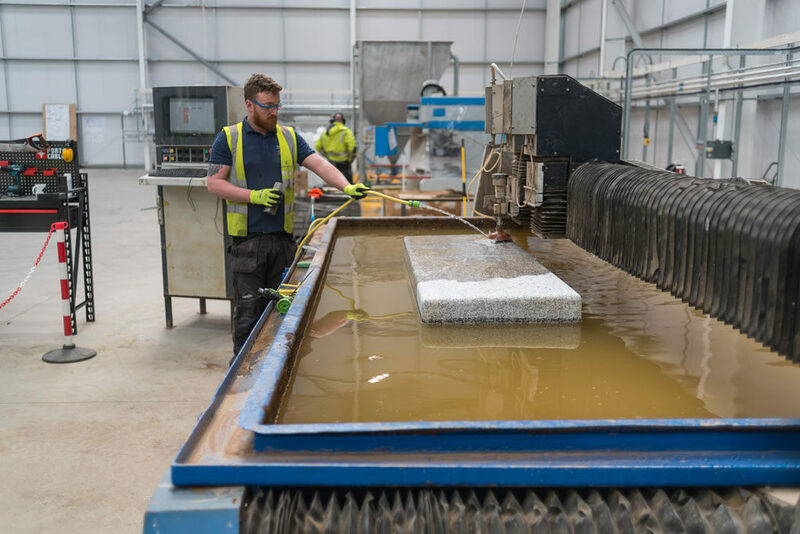 Students Joe and Edward joined a team of engineers for a trip to Hardscape in Bolton, where a series of benches are being crafted for the Rochester Bridges Refurbishment Project. The party included Ilona Hurrell, Contracts and Project Manager for the Trust; Rob Gilbert, Senior Engineer with Arcadis, the Bridge Engineer to the Trust; Aileen White, Education Officer; and Arkwright Engineering Scholars Joe Igoe and Edward Francesconi, who are in their first year of study towards their A-levels. 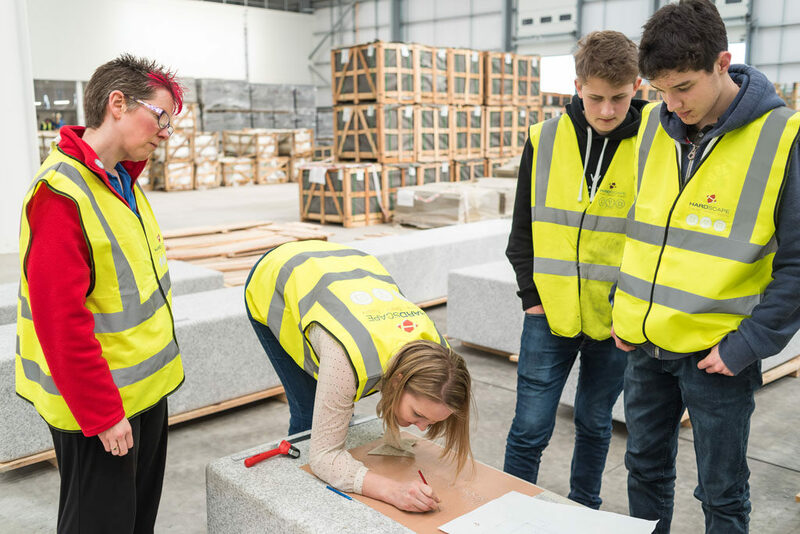 The day began with a train journey north, when the students made the most of their time with the engineers, joining in discussions about the tendering and design process that lead up to the manufacture of the benches. 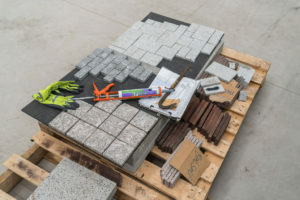 As manufacturers of ‘hard’ landscaping materials for projects around the world, Hardscape is one of many expert contractors involved in the refurbishment project, so this was a good opportunity for the students to find out more about this specialism and how it relates to the project as a whole. 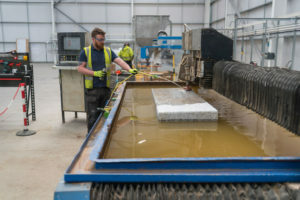 The tour included demonstrations of manufacturing techniques, including water jet cutting, laser cutting and sand blasting, followed by an explanation of the differences between natural and man-made stone, in particular in relation to density and material properties and how important it is to match these to the individual requirements of each job. As well as learning about the techniques, the students participated in a progress review of the benches being created by Hardscape. This included comparing the items created so far to their design specifications and an explanation of ‘needling’. 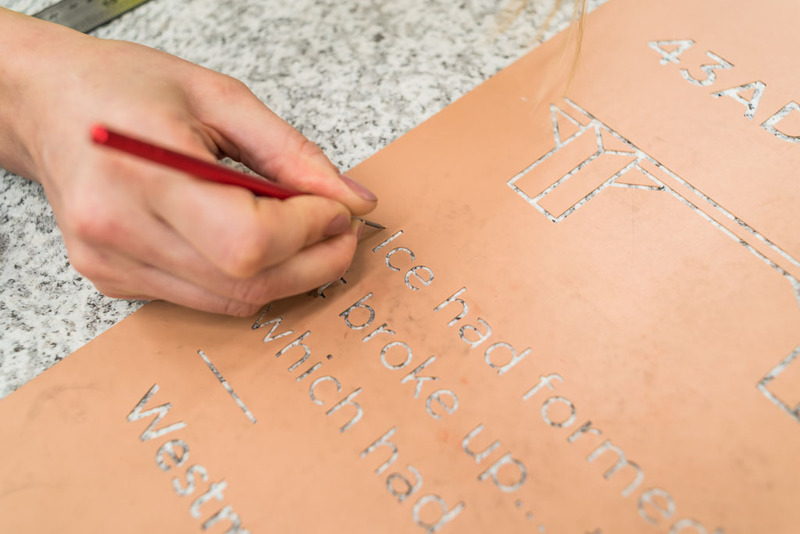 This is the process of picking out letters and graphics from a sheet of rubber that is used as a mask during the etching process. Where the rubber is removed a form of sand blasting is used to remove the stone, leaving the main surface unaffected. 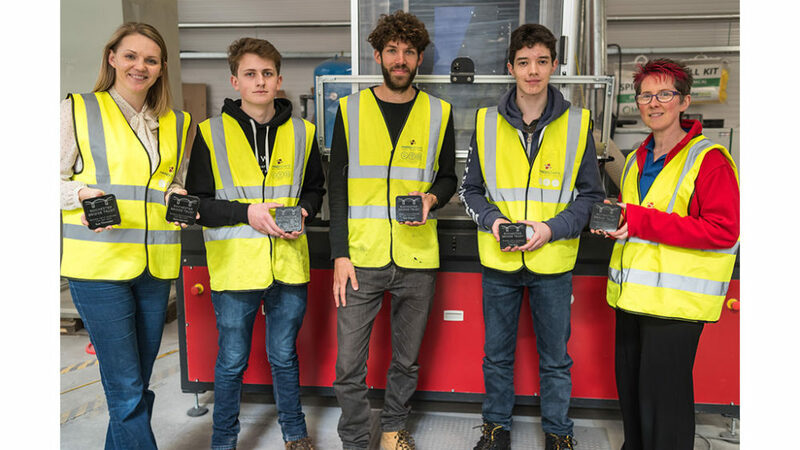 Each attendee was presented with a bespoke engraved granite coaster as a memento of the day before returning to the train, where they reviewed the activities they’d seen and began to consider this project in relation to another part of the refurbishment: upgrading the lighting.